Last year we have seen what kind of influence a community mod can have on the initial game overall. We have seen many indie titles rise from simple mods to officially sponsored standalone titles. This has been the truest in the shooter genre and Rising Storm proudly reps the mod world as the latest addition to the success stories. It now stands as the official expansion for Red Orchestra 2: Heroes of Stalingrad after over 2 years of joint development between Tripwire Interactive and the modding community. The beta went live on May 8th, and I have been put countless hours into it since! 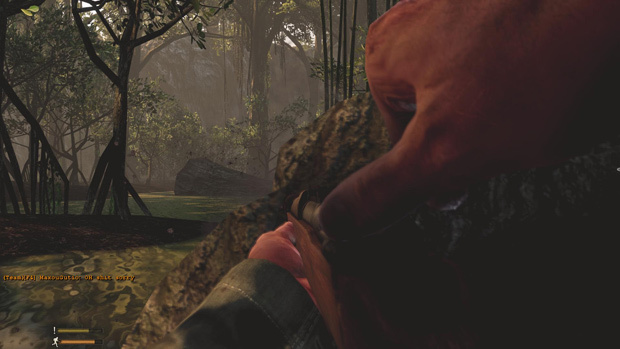 This realistic first person shooter has all the core mechanics of Red Orchestra 2. Having played that game myself I was fairly familiar but it didn’t feel like an exact crossover. The game itself is completely different than what the original game was actually about. 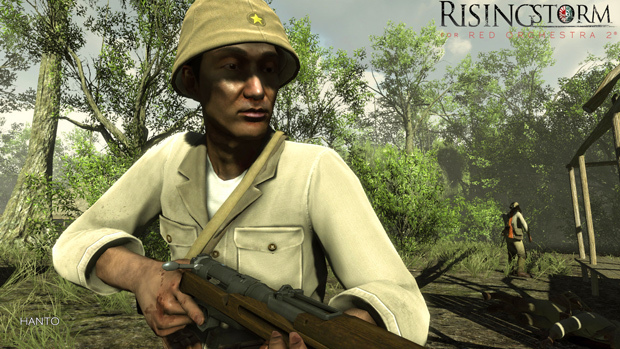 Rising Storm brings a whole new arsenal of weapons from both the Americans and Japanese that were used in the Pacific War. 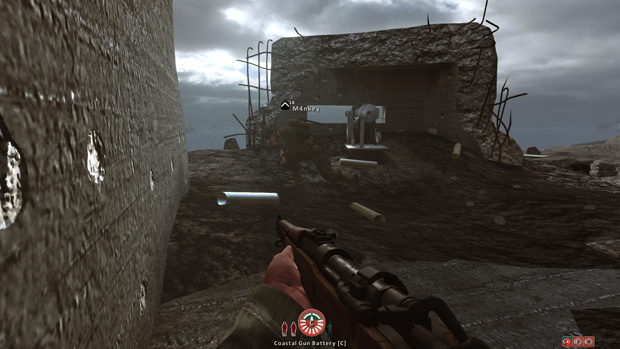 Many weapons including a personal favorite the M1 Garand and many others have now been introduced. 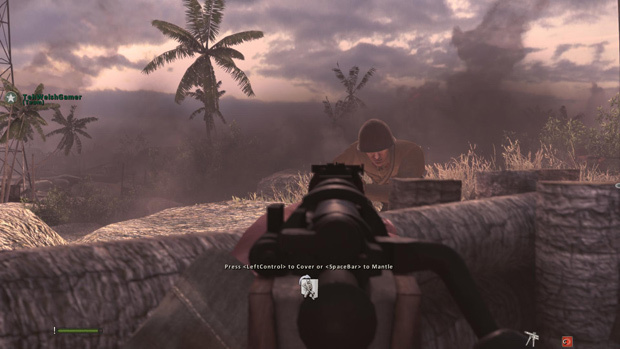 Red Orchestra 2 was always more focused on close quarters combat scenarios such as housing complexes and alleyways. In Rising Storm you’ll be experiencing plenty of beach landings and jungle battlegrounds with weaponry more suited for handling the situation. The game itself is actually fairly unbalanced. Since both nations are specialized in their own set of weapons, it feels like the focus is more on recreating historic battles than actually providing a competitive battleground. Though in their benefit they do it spectacularly well, to the point it sometimes feels like you’re watching one of those history channel ‘World War II actual footage’ specials. The Americans are well known for their diversity of arsenal in World War II, particularly the variety of flamethrowers. And this fearsome weapon is back, and it is actually frightening when you see it light someone up. If you are one of the unlucky ones being burnt alive, than you have almost no way of escaping this blaze of burning oxygen. The flamethrower literally kills off groups of people and is a great way to burn the camping enemy who are sitting in a bunker, or other defensive position. Where the normal submachine gun can go, the flamethrower does it ten times better. If you bide your time and wait for the opportune moment, you can single handedly win a match for your team. The Japanese are given the grenade discharger. This weapon is a mortar that you balance on your knee instead of letting it sit on the ground. This mobile weapon still packs a punch and is useful for blasting a camping group of enemies right out of a structure or bunker. However firing a mortar can be a little tricky, and requires a proper aim and no obstructions in the air between you and your target. The Japanese are also given booby-traps and a banzai kamikaze charge; granted this is World War II so save said charge for your last stand. Rising Storm is one of those games that takes realism to a next level. I have played many games that try their luck at capturing this level of realism, but it’s not unusual that in the end they aim for the developer’s vision over realism in the end. Rising Storm seemed to take a much less compromising approach to the subject. 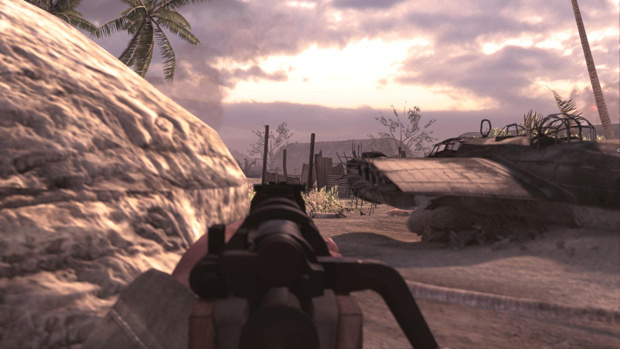 The game itself reminds me of Call of Duty 2 due to the familiar kickback and feel of the weapons and item capabilities. Yet they are limited when you attempt to pull off unrealistic feats with these weapons like using a submachine gun to snipe an enemy from across the map. Nor will you see much success at run and gunning with a rifle. For that matter it’s not a great idea to charge the enemy position as one well-placed shot can end you. Instead matches play out with mind-games, distractions, and carefully timing rushes from cover to cover trying to get the better camping position. When I played my first matches of Rising Storm, I was dead within the first ten minutes in close to 70% of my matches. I was trying to play the game as a normal shooter, a roller coaster ride as some of you know it. But Rising Storm is different. It puts you in the shoes of a fragile soldier in a war of attrition rather than the typical bullet soaking super hero most shooters set you up as. 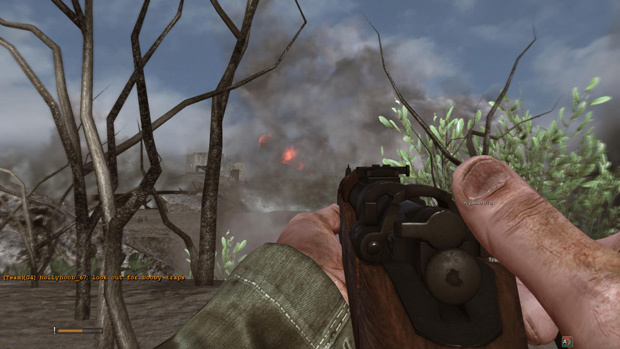 Dying is inevitable so prepare yourself for the school of hard knocks before you jump into Rising Storm. You might get a nice camping spot from time to time, but no level of skill will keep you from catching a bullet sooner or later. As I have said before, the game itself is unbalanced, but in a good way. 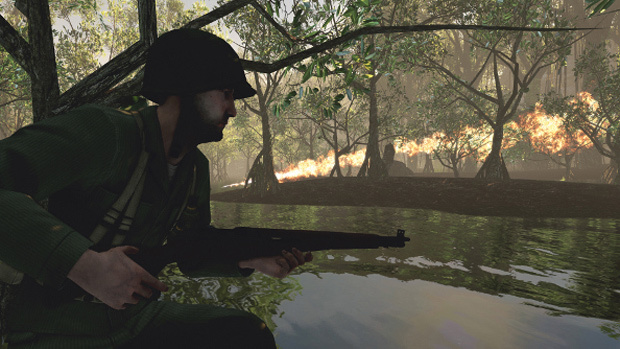 Rising Storm focuses on realism but maintains a decent balance between weapons in the process. Every weapon in the Japanese and American arsenal servers a purpose in a specific situation, and does it extremely well. This means twitch skill isn’t king as in most shooters. You’ll need to survey your situation, listen to the enemy’s weaponry, consider your advantage or disadvantage, and act accordingly to have consistent success. And trust me even though it’s a game, it’ll instill fear into you in every action you take. Yet this fear will forge the stronger players in the long-term as they learn how to utilize it against their enemies. As some people in the military are told, you have to assume that you are already dead, only then you can function. Bringing a few friends to watch your back and follow a unified pattern is a must. Team play is important, and flanking is by far the most successful tactics to win games. Overall this game captures the feel of the Pacific War like nothing I’ve played prior. And with the modding community still active in its development, you can rest assured it’s only going to get better.